San Francisco-based payments specialist Square has landed in the UK. This is the fifth market for Square, following the US, Canada, Australia and Japan. Square says its aim is “to make it easier than ever for millions of small and medium-sized businesses across Britain to take card payments and run their business”. It comes with “competitive and transparent rates, no monthly contracts or hidden fees, and next-day settlement on most transactions”. The solution takes “minutes to set up” and works with Visa, Mastercard and American Express cards. 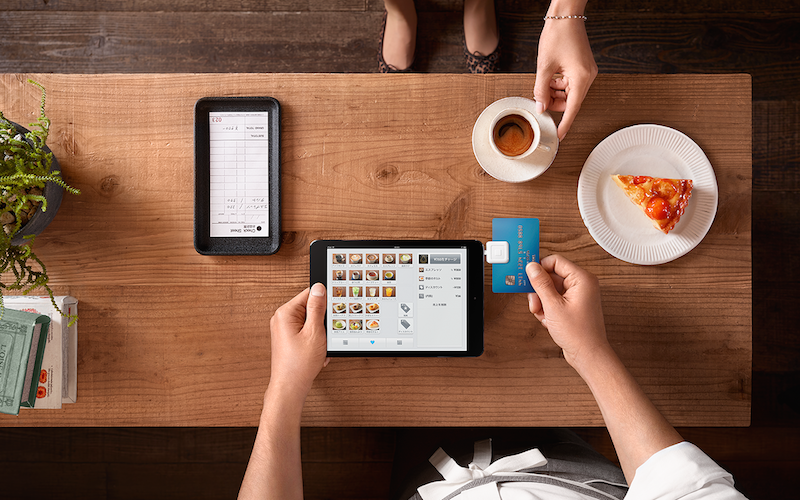 Square’s card reader (which costs £39) pairs wirelessly via Bluetooth with Square’s point of sale (POS) software, i.e. an app for a tablet or smartphone. The app, which is free, includes tools such as real-time sales data, invoicing and digital receipts. It was “designed specifically with the needs of small merchants in mind”, Square emphasises. Square charges a flat free 1.75% for in-person payments, and 2.5% for all other transactions such as online, by phone or via an electronic invoice, with no minimum transaction value. Square cites the stats that an average UK adult carries less than £25 in cash nowadays and that 70% of UK shoppers prefer to pay by card. Yet, half of the UK’s 5.4 million SMEs do not take card payments. Fintech zeitgeist! This week Loraine DeBonis, editor-in-chief of Banking Technology’s sister site Paybefore, muses on all the money changing hands in the payments industry. Releases its new Instant Deposit service for UK businesses. Plans to apply later to the Federal Deposit Insurance Corp.
Gearing up for launch of Cash App, which includes crypto exchange services. Sellers in the US could get access to funding up to the value of $100,000.